The most awaited, the patch our fans have been waiting for months has now been released by HD StudioZ! 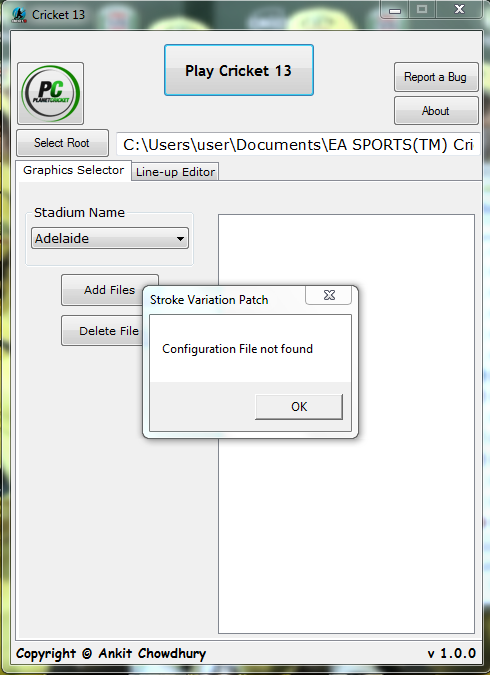 Yes, as the title suggests this is a mega patch for EA Sports Cricket07 – The EA Sports Cricket 2016 PC Game (Patch) for EA Sports Cricket07 Full Version Free Download. This patch has been developed by HD StudioZ – you can like their Facebook page by clicking here. High quality and the latest kits for each and every team. Excellent and authentic modded stadiums for most of the countries. High quality and original team logos. Official menu and menu overlays for every team. Up to date roster – latest player names, attributes and shirt numbers. Realistic bats – each player has been assigned their bats to make the game more realistic. Enhanced graphics – we have modified the graphics to make the game better. Realistic gameplay – this patch includes a gameplay mod which means no more hitting sixes every ball. Realistic outfields, pitchads and stumps. A new update (The EA Sports Cricket 2016 PC Game by HD StudioZ Update v1) will be arriving soon which will contain the new batpack and additional roster changes (attributes and domestic team changes). Clean installed EA Sports Cricket07. If you have any other patch installed, please do not install this patch over it. This is a mega patch and requires clean installation of Cricket07. Click here to download if you do not have it. HD StudioZ 256 BatPack – Click here to download. We have now tested your patience, and we’re finally unveiling the download links for EA Sports Cricket 2016 patch by HD StudioZ for Cricket07. Please note that downloading each and every file below along with the batpack above is a MUST. Failing to download and install them would result in .fsh and .big error failures. This patch will be getting an update soon which will include minor bug fixes, roster changes, batpack changes and much more. It is expected to release before 5th of November but there is no ETA as of now. Till then you can enjoy the patch and if there is any bug, please drop a comment below so that we can assist you accordingly. Make sure you load the roster before playing the game. An installation tutorial would be released soon. I know there’s a lot of content to download but we ensure you that your patience was worth it! Finally solved the 27af5b1742c1673b29b2593ce7d3bc3d.big error and also 8f68bf602e82c37a4e16df7436825169.big error .ITS A VERY GOOD GAME . it;s easy copy any of the .big file from game folder and paste it any where rename it with 27af5b1742c1673b29b2593ce7d3bc3d.big or any other .big that appears .Then paste that in game folder.. When i Load the HDC16.ros file in the Game, it gives error after toss. 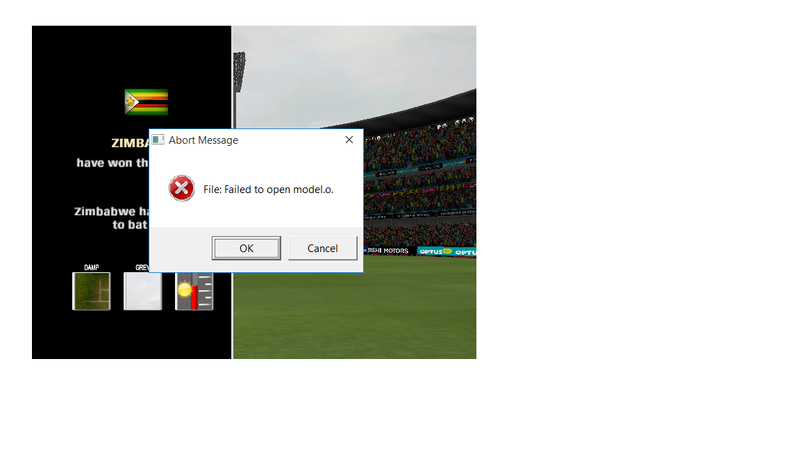 But when i delete HDC16.ros file then game works fine but random player names and kits. Great Job done Mr.Ayush and we appreciate your work for this game..Its great patch and enjoyable and some credit also goes to Mr.Prateek who resolved my big file error however still big file error are not resolve in KFC Big bash tournament. Please resolve the same..
it requires authentication and a password to download… what to do..?? (talking about the part 1 here) constantly giving the error needs authentication..?? did I miss somthing in the post..?? Its not working followed evry steps in video. I Also have this 27af5b1742c1673b29b2593ce7d3bc3d.big Error. Please Solve This. MAINE SBKUCH DOWNLOAD KR LIYA HAI..AUR GAME 2016 SERIES BHI DIKHA RHA HAI BUT JAISE KHLENE CHLO TO PURANI SERIES CHLTI HAI 2016 KI NHI….AUR TO AUR PLAYER BHI PURANE DIKHA RHA HAI..IPL AUR IPL KI TEAM BS HEADLINE ME HAI ANDER ENTER KRNE PR PURANI COUNTY KI TEAMS DIKHA RHA HAI..PLEASE SUGGEST..
Ayush, in NZ series 2nd ODI, I was unable to see full selected squad, can you please take a look at this bug? players name are still like old ones. rest things are changed. Hey ayush, after pasting the roster in cricket 13, on opening the game, when i wanted load the roaster, there is no.roster or profile in game options. What should i do???????? Hey is there an IPL update for Cricket 16? I cant download it from HD Studioz with dropbox 429 error. Shush I downloaded all parts of patches and installed it properly but after coin tossed async load .fsh error coming and I have to closed the game. 1: Copy any .big file paste it outside your root folder for the game. Rename it to 27af5b1742c1673b29b2593ce7d3bc3d.big and then paste it in the game root directory. 2: After you fix this and run the game you may get another error saying that async load of 8f68bf602e82c37a4e16df7436825169.big file . In order to fix this do the same this as done in step 1 except for renaming it 8f68bf602e82c37a4e16df7436825169.big. my part 1,2,3 all are not etracting showing some kind of break operation….plz tell me …have i download it properly? Great game. Thanks for this game. how to solve this ?? ?